Without fail, every coffee demo I have done, I am asked if we “grow the beans.” It’s a reasonable question because coffee is just something you expect to be able to grow. However, coffee is a remarkable crop with a complex and misunderstood growing environment. In general, coffee is grown between the Tropic of Cancer, and the Tropic of Capricorn. These regions are rich with volcanic soil, consistent sunlight exposure, and consistent moisture. There are a few outliers, like Puerto Rico, and California, but there are a few things these regions are struggling with. I have GREAT news! 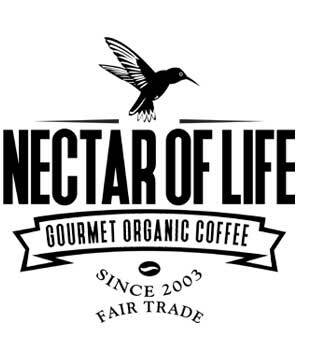 You can now buy Nectar of Life at a store near you on the Oregon Coast! If you don't live near one of these locations, get in touch with us about your local area and we will do everything we can to get you the coffee. I have listed our current customers on the Oregon Coast. 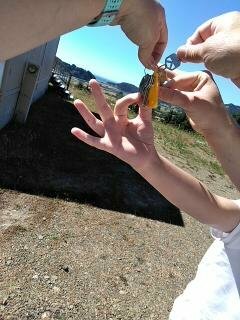 We will list others soon. 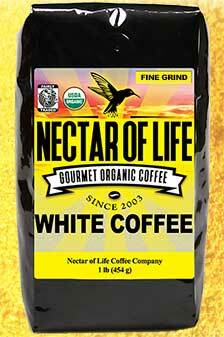 If you would like to join the Nectar of Life Coffee Company brand and feature the coffee at your store, restaurant, or eatery let us know. We have low minimum orders and great customer retention! The best part is we feature our customers each week on our Facebook, and Instagram pages at no charge! We know that when your business grows, ours will as well. With K-cups producing (per user) an average of a 6 cubit foot room every year worth of waste, it is worth noting you might not be "wasting" coffee, but you are adding to that Pacific trash pile in grand fashion. I digress. I know most Kcup drinkers don't know that pod is a major drain on our environment. This blog post is about bringing back the good ole' 12 cup brewer and reclaiming our sense of leaving the planet better than we found it. (Even if it means a *little* more work on our part). If something is perfect, leave it alone. If it isn’t fix it! With this in mind, I am hard at work putting together our brand new gift basket collection for the upcoming holiday season. Do you want more information about what white coffee is? Is it worth the cost? What does it taste like? Why is organic white coffee important? Is white coffee better than regular roasted coffee? Is there acid free white coffee? Can I buy white coffee whole bean? How do I brew white coffee? These questions and more are addressed in the blog post below. If you would like more information, feel free to comment below and we will help you out. It is no secret, coffee has radically gone up in price even for the quasi cheap coffee. With non-organic coffee you run the risk of adding "bulking" agents like chicory, or robusta. Some folks mistake robusta as a type of "coffee." Although similar looking, robusta beans are much higher in caffeine and acidity. (Hence the reason some folks say "coffee makes me sick." I will get into more detail about different coffee beans in another post). A good cup of coffee is well worth it's weight in beans.